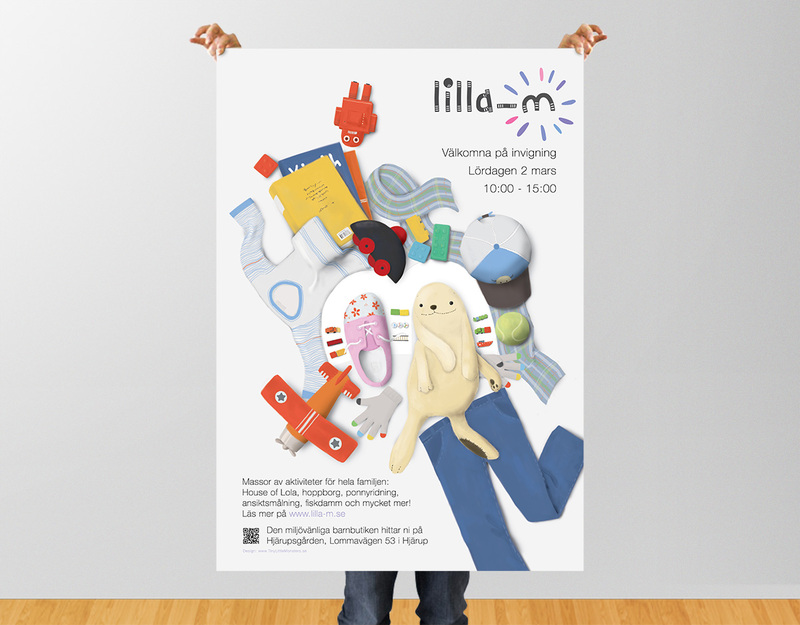 Lilla-m is an eco-friendly company located in a small and beautiful city in south of Sweden, namely Hjärup. They offer a wide variety of quality children products such as children’s books, clothes, and toys. The uniqueness in their exclusive products is that they are all secondhand, yet extremely neat and fresh! The idea behind their company is to reduce the negative environmental effects of our contemporary consumerist culture, by giving a second life to those products that do not deserve to become trash; a brilliant environmentally friendly idea! Based on the business branch and their logotype, we have designed a beautiful poster. 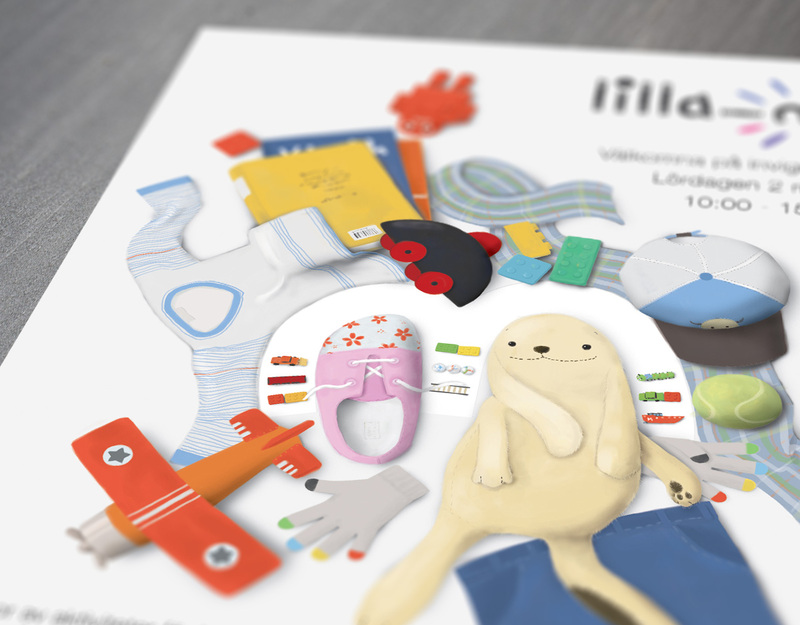 We have chosen to make the poster with handmade illustrations, which can attract the attention of small children and their parents easier and more efficient. The poster tries to represent and focus on the company logotype as well, to leave a more long-lasting memory of the brand, in the beholders’ minds. In addition, make it easier to remember Lilla-m's website address. The letter “m” which is used in the logotype, is almost hidden in the center of the illustration. However, this would create a small joyful visual puzzle for the beholders to solve; and due to the pleasure of solving it, one can expect a stronger emotional attachment between the beholders and the brand. We would be happy to see parents and their kids, standing in front of an artwork and talking about it. Seeing parents enthusiastically explaining the work for their kids, and watching the kids discovering the meaning, forms and shapes is a great moment, and that is exactly what we were looking for while designing the work. 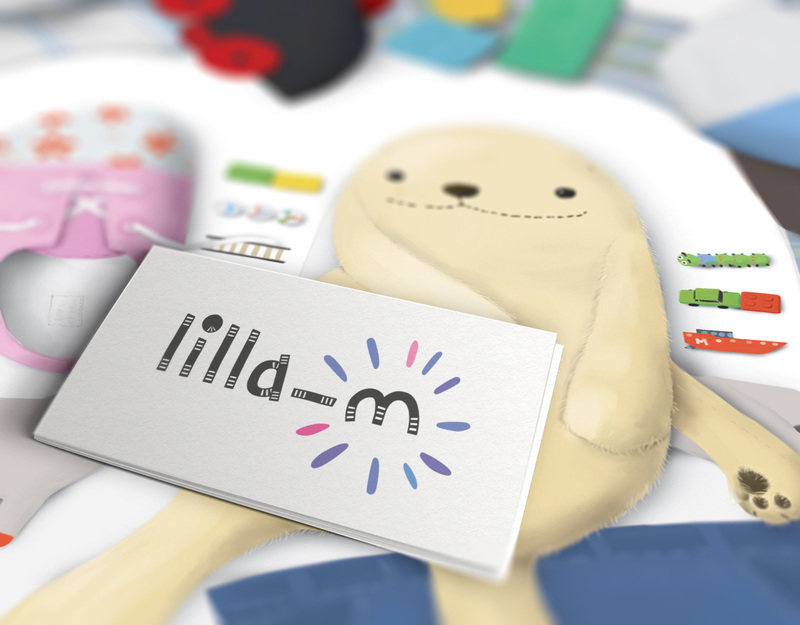 Note: Lilla-m’s logotype which is also designed by us.